Ever take a photo of food only to realize how unappetizing it looks later? Food photography is a lot harder than you might think, but not to fear — you can improve your shots in a snap with these tips, gleaned from some of the best photographers we know. There's no such thing as too close. Almost every new digital point-and-shoot offers a macro setting — just look for the small flower icon — which allows you to focus in on even the tiniest details, from herbs sprinkled over pasta to the chunks of rock salt on a pretzel. In cooking, subtle flavor details make the dish; in food photography, subtle visual details make the shot. 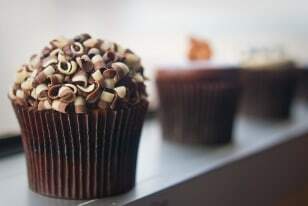 Our reader pick: Aubrey Dunnuck of Bloomington, Ind., says she "took [her] sweet time" capturing the delicate chocolate shavings on her birthday cupcakes, which she photographed on a hotel window ledge during a trip to Chicago. You're shooting food — not darts — so instead of adhering to a dull, bull's-eye setup, feel free to knock your subject off-center for variety's sake. An off-kilter composition will instantly improve upon the standard aerial shots that encompass the whole plate. 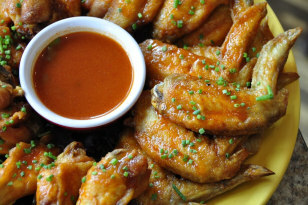 Our reader pick: Joe Routon of Haddonfield, N.J., photographed chicken wings and hot sauce at a Mexican restaurant in New Jersey. Joe swears by an artistic concept known as the rule of thirds: placing the central focal point of the image a third of the way down and a third of the way over from the edges of the frame. Moving the dipping sauce from the center to the upper left-hand corner gives the picture added impact, says Joe. Don't knock yourself out trying to get a beautiful shot in a dark restaurant. Natural light is the key to an appetizing photo, so always ask to sit next to the window or, better yet, to sit outside. Oh, and clouds are a good thing. Overcast days create even lighting that diminishes shadows and makes for a softer, prettier image. 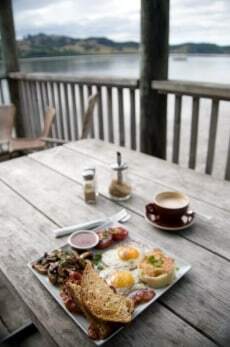 Our reader pick: Harry van Gorkum of Los Angeles was the first customer of the day at this small waterfront café in the New Zealand village of Motukaraka. He was able to capture the moment without "any lighting, because the clouds made the morning light 'flat.'" 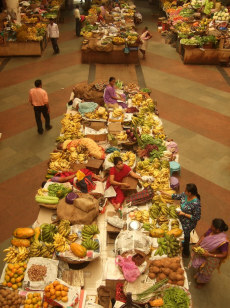 Our reader pick: Connie Hum of New York City was inspired by the bright colors of this scene, which she captured from the second floor of a fruit and vegetable market in Panaji, India. "The woman's red sari is a great contrast to the yellow bananas she's surrounded by," Connie says. "The more something pops, the more interesting it is to look at." Cropping an image helps show people where to look, which creates a more compelling narrative. A close-up of a grandmother's hands kneading dough or a chef chopping vegetables at the speed of light tells a different story than a full-length portrait. 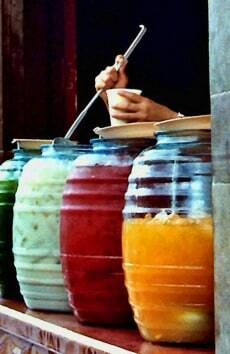 Our reader pick: Janelle Cole Barry of San Jose, Calif., took this photo of iced drinks — orange, strawberry, horchata, and alfalfa — in the Mexican town of Guanajuato, but this wasn't her first crack at it. "I originally shot the whole storefront with the person ladling the drinks, but ultimately preferred the close-up of the colorful jars," Janelle says. The cropped frame, she adds, "gives you more of the flavor of being there." Tall foods and drinks, like cocktails, layer cakes, and ice cream cones, allow you to play with different angles to make the food appear more heroic. 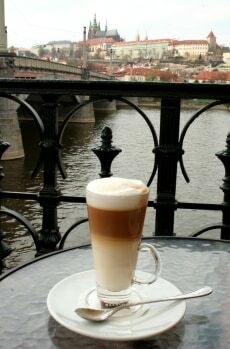 Our reader pick: Heidi Shaker Luna of Ladera Ranch, Calif., shot this foamy latte in a café overlooking Prague's Vltava River. "I focused on the latte and let the castle and bridge in the background get slightly out-of-focus to give it a dreamy appearance," she says. We also like the way the layers of the drink mimic the layers created by the café in the foreground, the river in the middle ground, and the castle in the background. Resist the urge to make everything in the frame sharp and crisp; a blurry foreground can actually look more artistic. On point-and-shoots, hold down the shutter button halfway to selectively focus on certain parts of the picture. On more advanced cameras, such as digital SLRs, you can adjust your aperture — the pupil-like opening that affects how much light enters the camera. 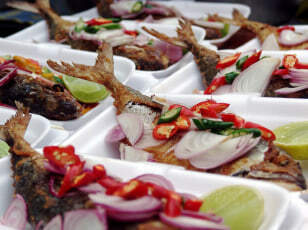 Our reader pick: John Eiberger of Chicago captured this shot of whole fried fish covered in red onions and sliced chiles in Thailand, while working on a study of close-up photography called Inches from Bangkok. He writes, "I'm a big fan of selective focus on one part of a shot with a blurred but busy background — which is easy to find in Thailand!" Move stuff around! Being a great stylist can be almost as important as having the right camera or finding the perfect light. Start with what's on the table and tweak as needed: Move silverware and glasses, turn bottles toward the camera so the viewer can read exactly what you were drinking, and spin the plate so the most important details catch the eye. 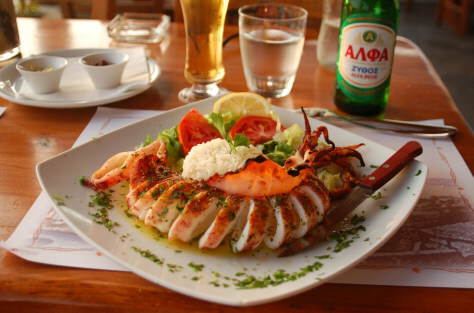 Our reader pick: Lynn Farrell of Scottsdale, Ariz., shot this plate of grilled calamari in a restaurant outside of Mykonos, on a hill overlooking the sea. We love the way this image encapsulates the entire Greek dining experience. From details like the Greek characters on the beer bottle to the rustic paper place mat to the simple garnish, a viewer can instantly get a feel for what it was like to eat an authentic meal in this unfussy restaurant. Sometimes, beauty lies not in the photograph's subject itself, but in the anecdote that it encapsulates. Mistranslations on international menus, foreign takes on American classics, like a Russian Coke bottle, and other cultural mix-ups can tell a story that will make you smile long after you return home. Our reader pick: Wendy Dreaney of Bremerton, Wash., shot this picture in an outdoor café at the Khan el-Khalili market in Cairo. 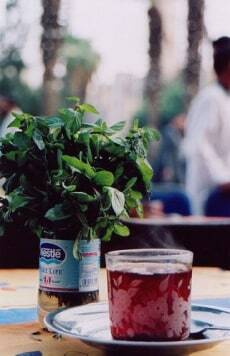 The focal point isn't a local delicacy, but instead an unruly mop of mint leaves jammed into a Nestlé water bottle next to a mismatched cup and saucer. She writes, "My friend from Georgia asked, in her classic Southern drawl, for a tea with mint, and this is what she got! 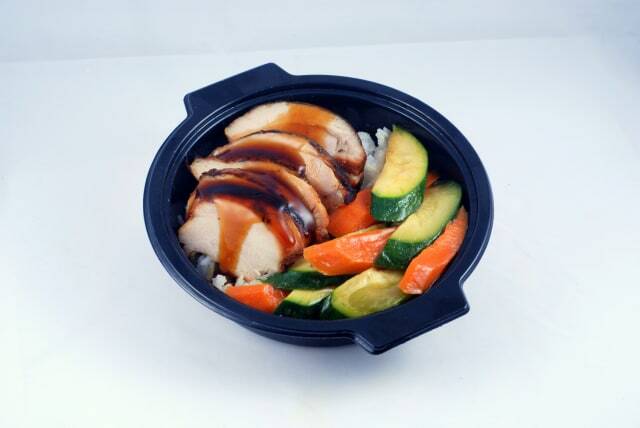 I thought the presentation was so simple and charming." Copyright © 2012 Newsweek Budget Travel, Inc. 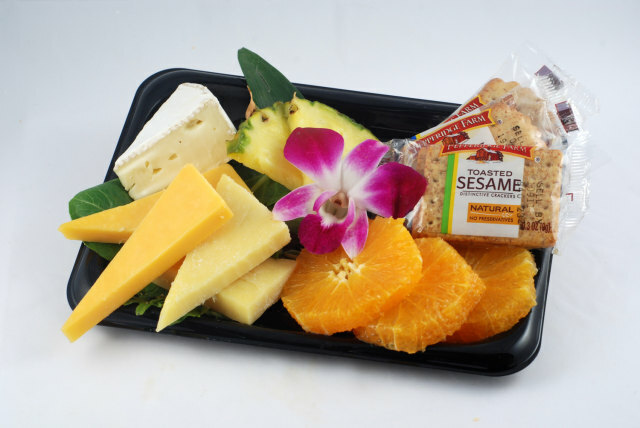 Whether you sit in coach or in first class, we want to see photos of your airline meals. Rossen Reports: Do pilots rely too much on automation?